Just saw this on Pinterest, Good Idea, especially if you don't like your own handwriting, like me. 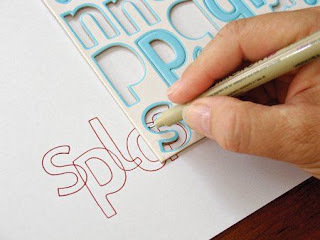 I know I have several sets of the letters and number, in all sorts of fonts, that I have used the chipboard piece and have just the negative left. Remember, we scrappers never throw anything away !! !